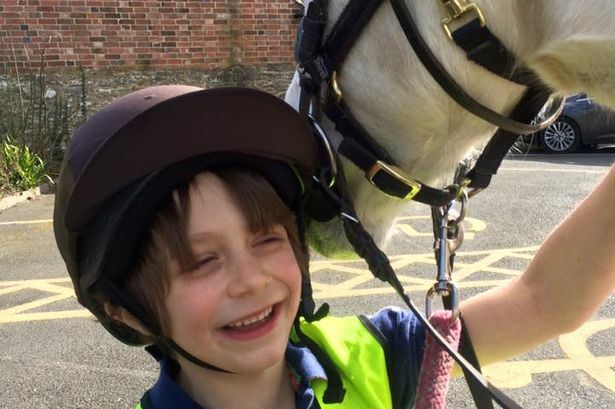 Seven-year-old Alfie Wilton and his pony, Poppy, are raising money for three charities: The National Autistic Society, the Crohn’s in Childhood Research Association (CICRA) and Cancer Research UK. AN EAST LEAKE youngster, who has ADHD and autism, is making good progress to meet the challenge he has set himself to trot, gallop, and canter 100 miles for charity. Alfie, a Brookside Primary School pupil, initially set himself the challenge of riding 100 miles and raising £300 but he has already surpassed that amount in donations. The youngster rides Poppy as part of a number of local horse riding groups through the Sport Endurance organisation.